Way up, 3000 feet over the rainbow. It was marypcb's and my sixth wedding anniversary at the beginning of October, and as we were in the Bay Area for a series of conferences we took the opportunity to head away from the built-up coast to the wilds of the Sierras. 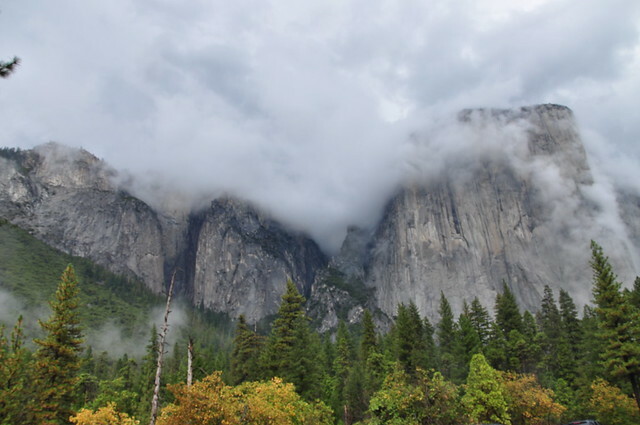 We've always loved visiting Yosemite, and headed out across the flat Central Valley to spend a couple of days in and around the national park. Slowly the cloud began to lift, and we drove through the thunder showers, twisting and turning up the mountain roads to Glacier Point, more than 3000 feet over the valley floor. 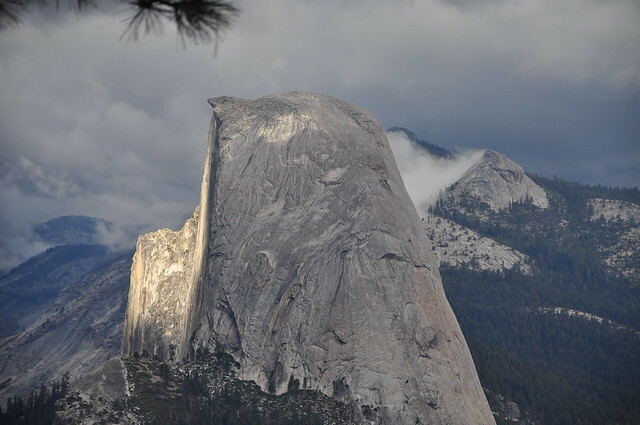 Thunder rumbled and echoed around the bare granite domes, patches of fading sunlight climbing the face of Half Dome. As I looked down on the valley floor, more than half a mile below, I suddenly found myself in one of those magical moments. 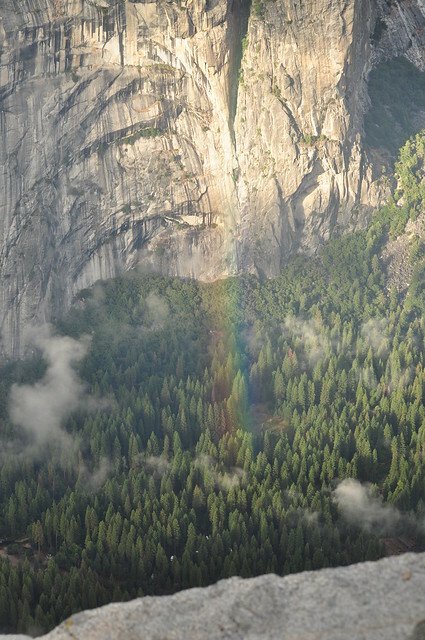 A sunbeam was tracking up the valley, through the showers, and way below me, arching up to the granite cliffs across the valley was a rainbow. From high above it wasn't the familiar arc - just a line of coloured light rising up from the trees. Stunning set. The rainbow shot is truly awesome! Even by your already exalted standards, those are unbelievably stunning.